Karleen Seybold is the Co-Founder and Chief Executive Officer at DSI. DermSpectra Total Body Digital Skin Imaging System enables physicians to detect, track, and monitor critical skin changes (skin cancers, eczema, moles, psoriasis, and rashes) to ensure the best healthcare outcomes for patients. Bringing more than 20 years of engineering and executive management experience to DermSpectra, Karleen leads the strategic planning and technology development at DermSpectra, as well as directs the management and overall direction of the company. In 2015, DermSpectra was named as a top 10 finalist out of 154 companies in the Arizona Innovation Challenge. 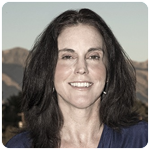 Karleen Seybold was awarded an Outstanding Female Entrepreneur award by Inside Tucson Business in March 2015. The DermSpectra Total Body Digital Skin Imaging System is a proprietary solution that delivers patented high-resolution imaging, secure storage, and immediate viewing capabilities. With the most advanced level of imaging precision in the market, DermSpectra sets the industry standard (definition, timing, lighting, image quality, data formats, secure storage, and interfaces) in digital skin imaging for dermatologists, plastic surgeons, cancer centers, clinical trials, general practitioners, and telemedicine services. DermSpectra’s imaging solution strives to improve early detection of melanomas and treatment outcomes for patients and physicians by providing standardized, high-definition digital skin images that enable comparison of skin lesions and body changes over time. DermSpectra fills a critical gap in the digital skin imaging (DSI) market. Despite more than 5.0 million new cases of skin cancer diagnosed each year in the U.S., there are few readily available tools for screening and early detection of skin cancer at the total body level, making the DermSpectra Total Body Digital Skin Imaging System an industry-leading technology solution. DermSpectra was the 2015 recipient of Best Use of Technology and Best Manufacturing awards by Inside Tucson Business. Before co-founding DermSpectra, Karleen was a Program Manager and Senior Systems Engineer at Raytheon Company for 17 years where she led new business development efforts through innovative technology applications and directed an international new business effort in missile defense. She holds five patents for image sequencing, alignment, and a skin cancer detection display module and received six Technology Achievement awards from Raytheon. She earned her Bachelor of Science degree in mechanical engineering from Northern Arizona University and her MBA in Global Management from Thunderbird International School of Global Management. Her work has been published in national and international trade publications. Karleen can be contacted by emailing kgseybold@dermspectra.com. Visit her LinkedIn profile here. In 2006, Dr. Carmona successfully completed the statutory four-year term of the U.S. Surgeon General and was named to the position of vice chairman of Canyon Ranch, the country’s leading health and wellness company for over 30 years, and was named president of the Canyon Ranch Institute Board of Directors. Canyon Ranch Institute, a 501(c)3 non-profit public charity, catalyzes the possibility of optimal health for all people by translating the best practices of Canyon Ranch and its partners to help educate, inspire, and empower every person to prevent disease and choose a life of wellness. headed cane as the top graduate. Trained in general and vascular surgery, Dr. Carmona also completed a National Institutes of Health-sponsored fellowship in trauma, burns, and critical care. Dr. Carmona was then recruited jointly by the Tucson (Arizona) Medical Center and the University of Arizona to start and direct Arizona’s first regional trauma care system. He went on to become the chairman of the State of Arizona Southern Regional Emergency Medical System, a professor of surgery, public health and family and community medicine at the University of Arizona, and the Pima County Sheriff’s Department surgeon and deputy sheriff. He is also a Fellow of the American College of Surgeons. Dr. Carmona has also served for over 28 years with the Pima County Sheriff’s Department in Tucson, including as deputy sheriff, detective, SWAT team leader and department surgeon. He is one of the most highly decorated police officers in Arizona, and his numerous awards include the National Top Cop Award, the National SWAT Officer of the Year, and the National Tactical EMS Award. Dr. Carmona is a nationally recognized SWAT expert and has published extensively on SWAT training and tactics, forensics, and tactical emergency medical support. Dr. Carmona has also served as a medical director of police and fire departments and is a fully qualified peace officer with expertise in special operations and emergency preparedness, including weapons of mass destruction. In 2002, Dr. Carmona was nominated by the president and unanimously confirmed by the United States Senate to become the 17th Surgeon General of the United States. 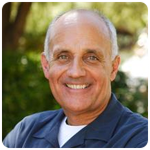 Dr. Carmona was selected because of his extensive experience in public health, clinical sciences, health care management, preparedness, and his commitment to prevention as an effective means to improve public health and reduce health care costs while improving the quality and quantity of life. As Surgeon General, Dr. Carmona focused on prevention, preparedness, health disparities, health literacy, and global health to include health diplomacy. He also issued many landmark Surgeon General communications during his tenure, including the definitive Surgeon General’s Report about the dangers of second-hand smoke.